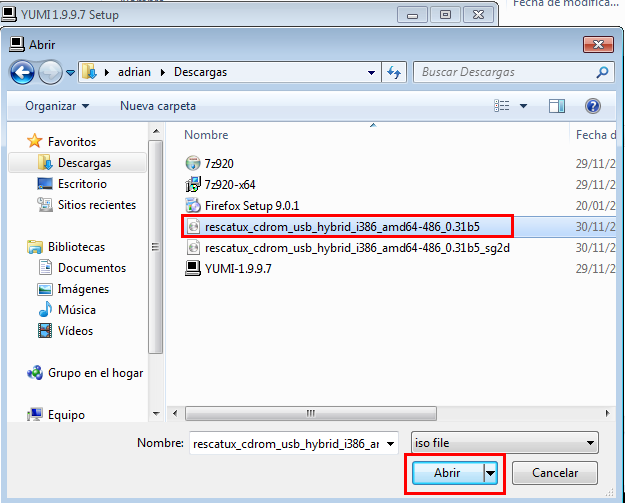 This wizard step will help you to put a downloaded Rescatux ISO into a media, that means either an usb pendrive or a cdrom. 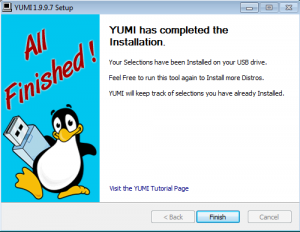 This wizard step will help you to put a downloaded Rescatux ISO into an usb pendrive. 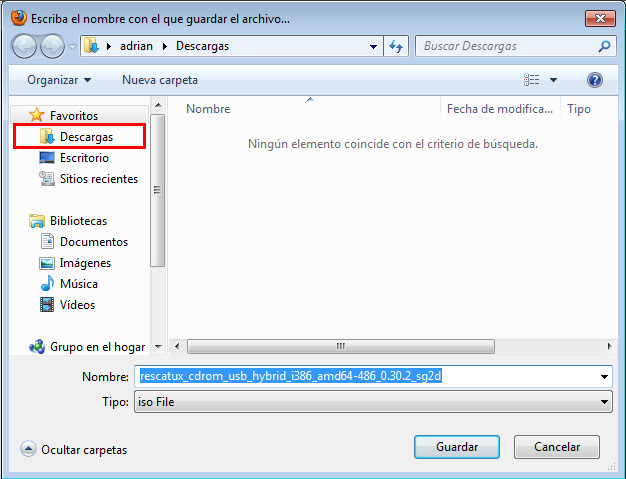 There are three supported ways of putting Rescatux into an usb pendrive. Now you should choose one of them. 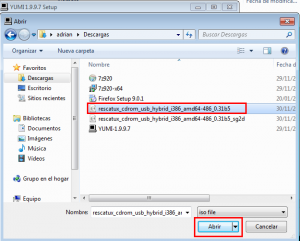 This is the recommended method for those who have free space in their usb pendrive for Rescatux ISO contents but they don’t want to wipe or loose the pendrive contents (as it happens with other methods). The only disavantage is that Super Grub2 Disk is not integrated into Rescatux as the original Rescatux image is. 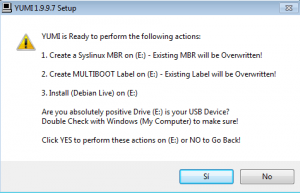 This wizard step will help you to put a downloaded Rescatux ISO into an usb pendrive. This method advantage is that pendrive contents will not erased at any time as it happens with other methods. 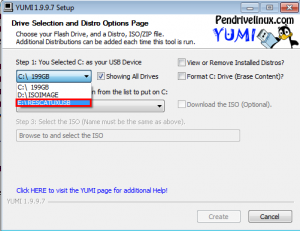 This wizard step will help you to put a downloaded Rescatux ISO into an usb pendrive. This wizard is specifically designed for people that use Windows Operating System. 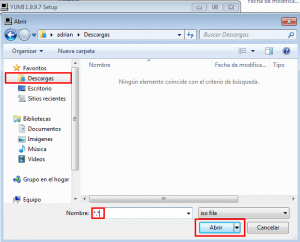 This wizard step will help you to download 7-zip. 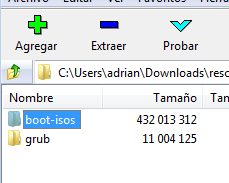 7-zip is a tool that will help you to unzip Isolinux based Rescatux from Super Grub2 Disk based Rescatux (the latter one is the original Rescatux). Additional 7-zip is open source and can be used instead of other propietary tools like WinRAR, WinACE or WinZIP for compression, packing and unpacking tasks. Click on one of the central Download links. If you’re using a 64bit Windows you should select the .msi type one. If your Windows is 32bit select the .exe one. Try first with the 64bit one and if it doesn’t work then try the 32bit one. Please write down this location on your computer because we will need it later in order to run 7-zip installer. 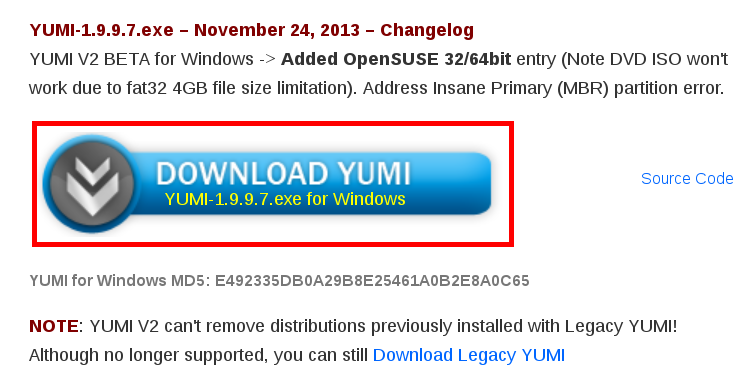 TIP: Use this direct link to get to 7-zip page. 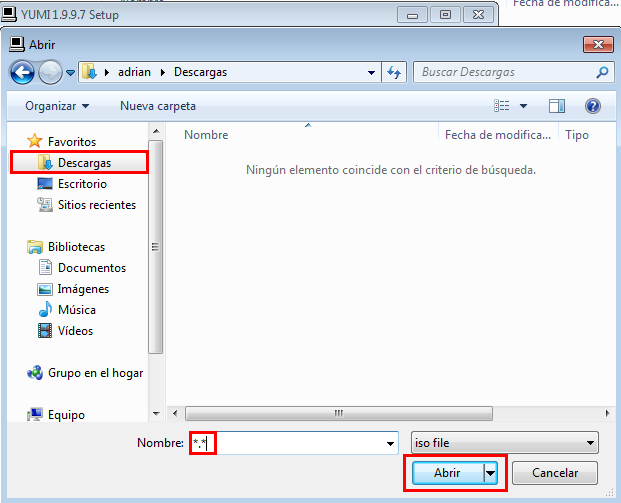 This wizard step will help you to install 7-zip. 7-zip is a tool that will help you to unzip Isolinux based Rescatux from Super Grub2 Disk based Rescatux (the latter one is the original Rescatux). Additional 7-zip is open source and can be used instead of other propietary tools like WinRAR, WinACE or WinZIP for compression, packing and unpacking tasks. Either by clicking on My PC, PC or Explorer (The yellow thing with some folders on it) you should open a window that lets you navigate through all your files in your computer. 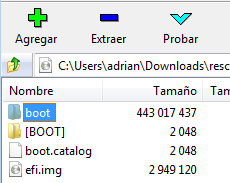 Make sure you navigate to the folder where you downloaded 7-zip. 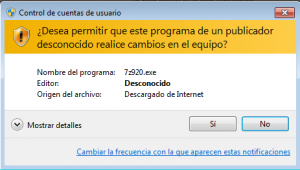 Double click on 7-zip installer. 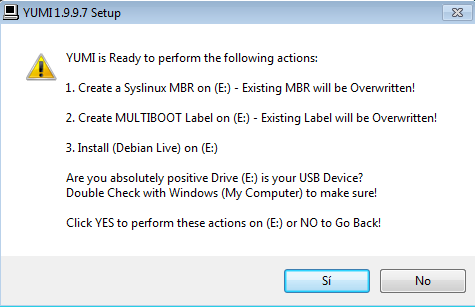 Should a dialog appear asking if you wish that an unknown publisher program makes changes in your computer then select Yes or OK answer. A dialog will appear asking your for a Destination Folder. Just use the default Destination Folder and click Install button. You will be informed that 7-Zip has been installed on your computer. Please click Finish button. Once the 7-zip installer window closes then you have finished this step. This wizard step will help you to extract Rescatux Isolinux ISO out of Super Grub2 Disk based Rescatux (the latter one is the original Rescatux). Either by clicking on My PC, PC or Explorer (The yellow thing with some folders on it) you should open a window that lets you navigate through all your files in your computer. Make sure you navigate to the folder where you downloaded Rescatux ISO. Right click on Rescatux ISO file. You should move your mouse over 7-zip and then over Open archive and finally click on it. 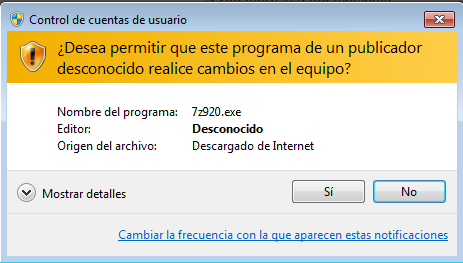 7-zip will appear in your screen. Double click on boot (not on [BOOT]). Double click again on boot-isos. Now you should see Isolinux based Rescatux selected. Click in less sign button named Extract. Click on … Button so that you know exactly where you extract the file. Finally click on Yes or OK answer. A dialog should appear showing you the extraction progress. When the extraction dialog closes at uncompression end then you have finished this step. The USB Device must be either FAT32 formatted or NTFS formatted. That doesn’t mean that it needs to be blank. It means that its format has to be FAT32 or NTFS. The USB Device should not loss any data but, as always, you are advised to backup your USB Device. 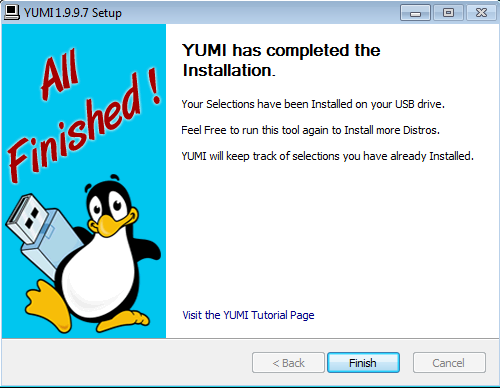 In the YUMI Step 1 dropdown make sure to select the Drive Letter that identifies the USB drive where you want Rescatux to be put in. If needed click on Showing All Drives but then be more careful than before. You might screw the current system you are using if you choose the wrong drive. 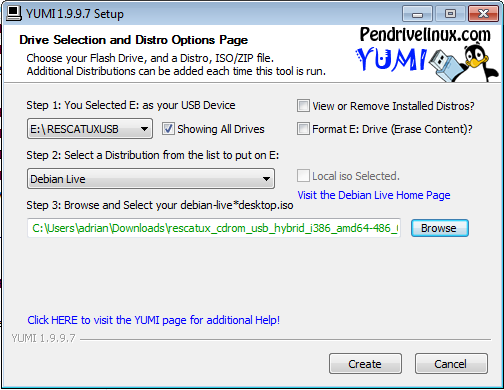 In the YUMI Step 2 dropdown please select Debian Live inside — Debian Live 32/64 Bit —. 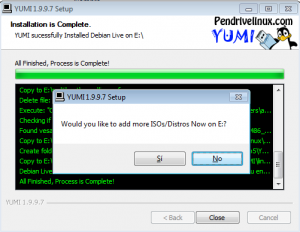 In the YUMI Step 3 you need to click in Browse button to select Isolinux based Rescatux ISO. Navigate to the folder where you know the Isolinux based Rescatux ISO is. Don’t be afraid about not seeing it. Now in the Name box please write: *. * and click Open. Now you can select the Isolinux based Rescatux ISO. If you happen to have Isolinux based Rescatux and Super Grub2 Disk based Rescatux side to side you will recognise the latter because it ends with _sg2d. Just choose the other one, the one that ends with Rescatux version. Then a dialog progress will appear that shows how ISO file contents are being unpacked. Sorry no info on how to Put Rescatux into an usb pendrive as an Isolinux from Gnu/Linux yet. Sorry. This is the method that it should always work. Unfortunately it wipes all the pendrive contents. It’s only recommended if your pendrive is about 1 GB size and you don’t mind having about unused 600 MB space in it. No info on how to put Rescatux raw image into an usb yet. Sorry. This is the method that it should always work. Unfortunately it initially wipes all the pendrive contents. 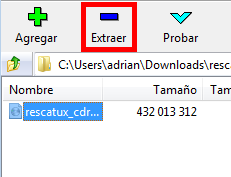 After an additional steps the pendrive can be reused to store any data and Rescatux is also there ready to be used. No info on how to put Rescatux raw image into an usb and use it as an storage too. Sorry. No info yet on how to Put Rescatux into a CDROM (or dvd). “boot” is not in the archive! The instructions on the page are aimed at stable Rescatux. In the case of 0.32 beta 1 version which it’s not Super Grub2 Disk based but Isolinux based there is no need to extract the iso inside the iso. Just use the iso directly just as if you had extracted it in these instructions. These instructions will need to be updated when Rescatux 0.32 stable is out. Please kindly tell me the password when login. Thanks for your help! and you should get a root password. but Rescatux should not ask you about a password never.